Without a doubt, bear hunting is our specialty. With hundreds of kilometres of trails, it's a hunter's paradise! In the wilderness, you'll find moose and deer in their natural habitat. The season starts early! As soon as the ice melts, many species are ready to bite. If comfort is important to you, rest assured— our luxury cabins are for you! 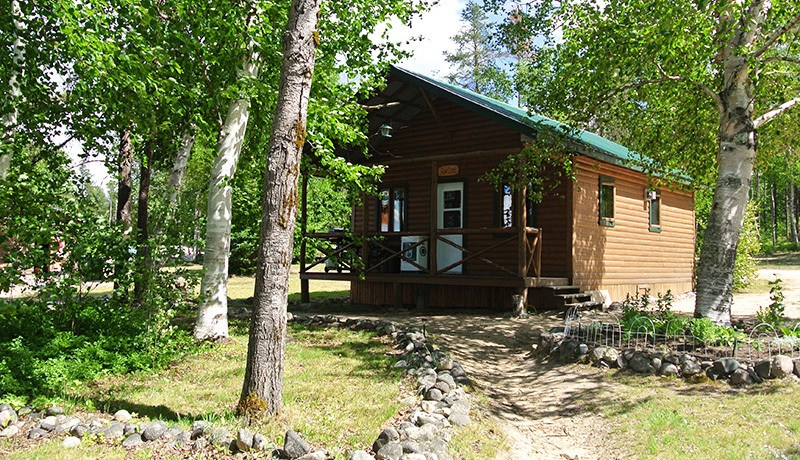 The rustic cabins can accommodate up to six people and are powered by propane. 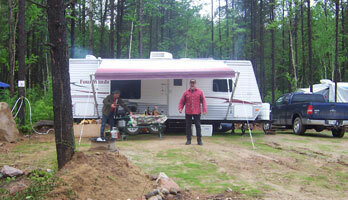 This type of camping is very popular at Matchi-Manitou Lake Outfitters, with 16 sites available. We invite you to read the list of the outfitter rules so that your stay is as pleasantly as possible. From 11:00 pm, it is important to respect your neighbors because some may already sleep, so we ask you to speak more softly and avoid the noise especially if you are outside by the fire. To keep mosquitoes away from the cabin you can burn a mosquito spiral to the bottom of the door at the outside, this will move them away significantly. However, do not spray mosquito product in the nets and doors of the cabins because it burns the outer skin and is not an effective way. 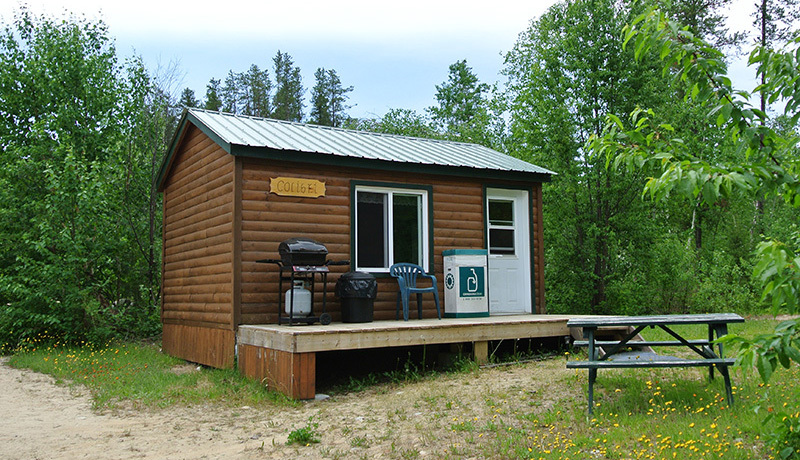 It is forbidden to eviscerate fish inside the cabin or place them on the gallery or picnic table to not spread odors that may attract wildlife. When you return from fishing, please bring your fish directly to the fish shack for this purpose. Thank you to clean your workspace and floor after completing gutting fish. If you have a pet, at all times it will be in the presence of his master and under surveillance. It is forbidden to leave your pet alone in the cabin and lies down or up on the couch or bed, a cleaning fee may be charged $$$. We will not tolerate abusive and unnecessary barking. So, we ask you to check where he made his business and collect them. Thank you for helping us keep the premises clean. Dangerous animals will not be allowed on the site. If you plan to bring a generator, operating hours are between 9:00 am and 9:00 pm (do not run all day long). If you do not bring your cans, we encourage you to drop them in the tray provided for this purpose (white tray ‘only cans’ that is on your gallery and on the outfitter site). If you do not bring your bottles (beer), we encourage you to leave them on the gallery in their boxes. For camping, please clean up your campsite and do not leave waste in the fire pit. Leave the cabin clean, swept the floor, brushed toilet and no dishes on the counter, fees ($$$) will be charged for the extra work. If a problem occurs, either for a mechanical engine, propane equipment or other, tell the staff, keep smiling and we will resolve it in good humor! for rewarding hunting and fishing!